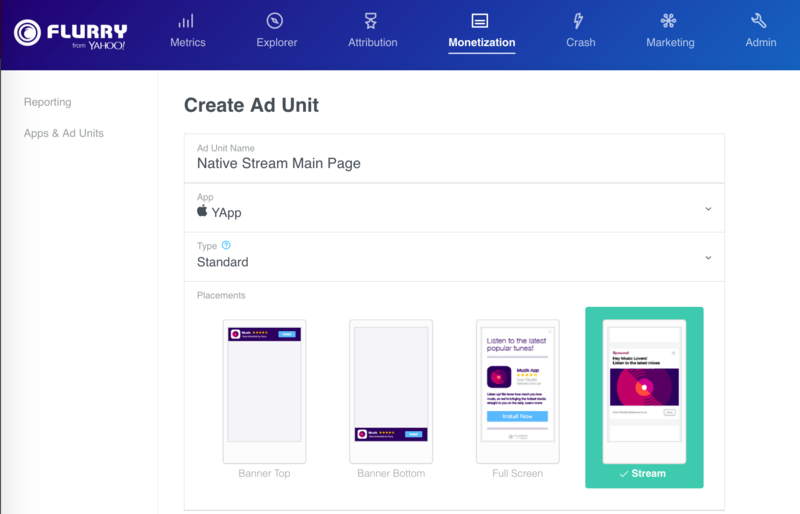 Using Yahoo App Publishing, you can create Native Ad Units. 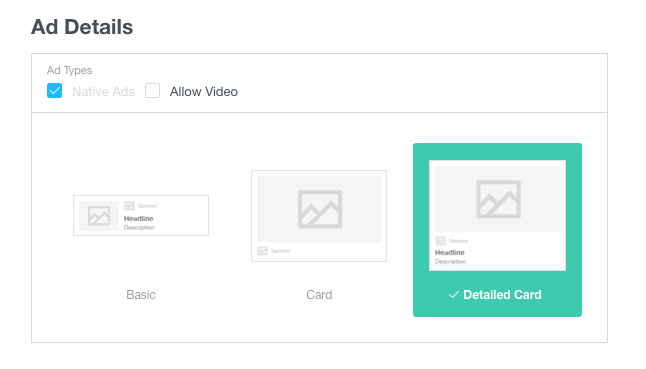 To create an ad unit and monetize with Native ads, follow these steps. Select the application for your ad unit. Basic ads include headline, summary and branding logo. Card ads include a headline, summary, branding logo overlaid on a high quality image. Detailed Card ads include headline, summary, branding logo adjacent to a high quality image. Ensure that you have integrated the latest SDK. Native ads are delivered from Yahoo Gemini and Yahoo programmatic partners. For more information on Native Ad Design Guidelines, refer to Yahoo Native Advertising Guidelines.